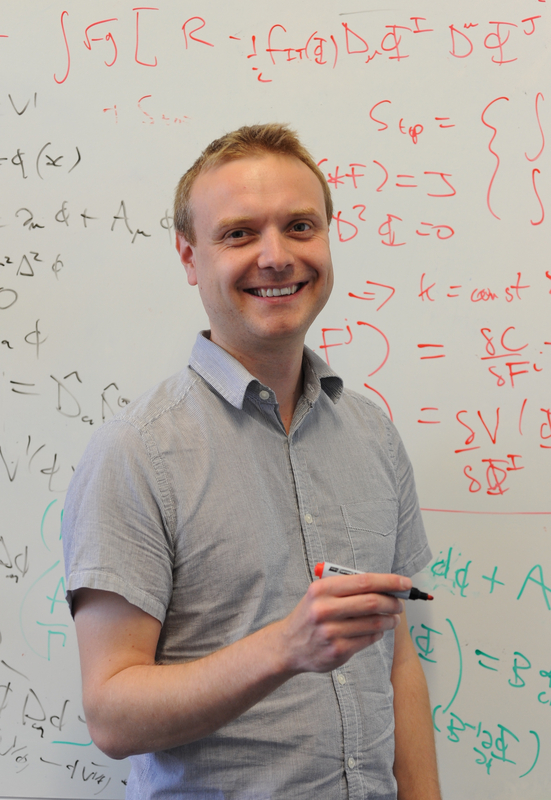 Written by James Lucietti, a Lecturer in Mathematical Physics in the School of Mathematics at the University of Edinburgh; and Carmen Li, previously a graduate student in the School of Mathematics at the University of Edinburgh and now a postdoc in the Institute of Theoretical Physics at the University of Warsaw. How many extreme black holes are there with a given throat geometry? The classification of equilibrium black hole states is a major open problem in higher dimensional general relativity. Besides being of intrinsic interest, it has numerous applications in modern approaches to quantum gravity and high energy physics. Two key questions to be answered are: What are the possible topologies and symmetries of a black hole spacetime? What is the ‘moduli’ space of black hole solutions with a given topology and symmetry? For vacuum gravity in four spacetime dimensions, these questions are answered by the celebrated no-hair theorem which reveals a surprisingly simple answer: the Kerr solution is the only possibility. However, since Emparan and Reall’s discovery of the black ring — an asymptotically flat five dimensional black hole with ‘doughnut’ topology — it has become clear that there is a far richer set of black hole solutions to the higher dimensional Einstein equations. 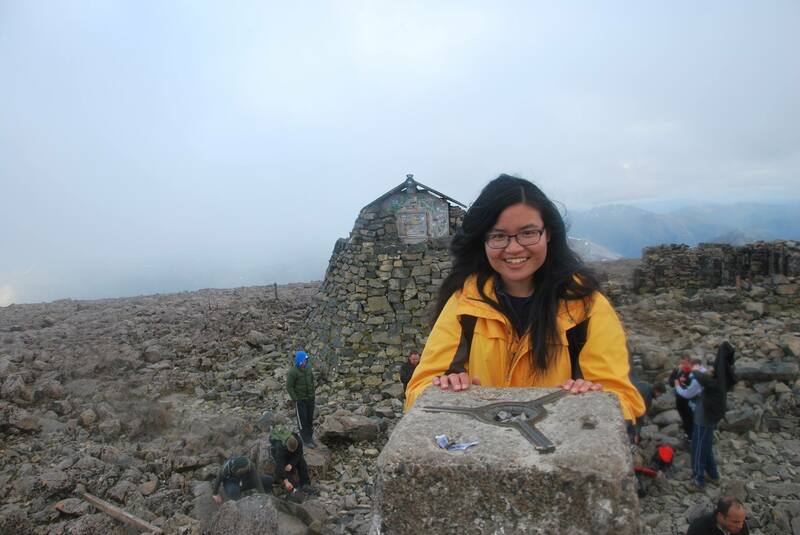 Carmen Li, University of Warsaw, at the top of Ben Nevis in the UK. Over the last decade, a number of general results have been derived which go some way towards addressing the first question. The most notable are generalisations of Hawking’s classic works; the topology theorem (Galloway and Schoen) and the rigidity theorem (Hollands, Ishibashi, Wald and independently Moncrief, Isenberg). As impressive as these results are, it is important to realise that they only provide necessary conditions that must be satisfied by black hole spacetimes. It is far from clear which topologies and symmetries are actually realised by black hole solutions to the Einstein equations. Furthermore, there are no general results addressing the more refined second question (except in a few special cases of high degree of symmetry). It is fair to say we are a long way from solving the black hole classification problem, which undoubtedly will require new insights. Extreme black holes are of interest for a number of reasons, the most prominent one being that they are expected to have a simpler quantum description (of course, this has been verified within string theory, to a degree). As is well known, such black holes possess a near-horizon ‘throat’ geometry which itself is a solution to the Einstein equations. Naturally, the classification of such extreme throat geometries is a far simpler task and much progress has been made in the last decade in this direction. An advantage of this technique is that it allows one to investigate the possible topology and geometry of horizons without reference to any parent black hole. However, this also exposes its main drawback: a major challenge is to elevate such near-horizon classifications to black hole classifications. In particular, this requires answering the question: What is the set of extreme black holes with a given throat geometry? In our recent CQG article we initiated a direct general study of this question, by investigating the infinitesimal version of the problem in vacuum gravity. In particular, we analysed infinitesimal deformations of an arbitrary extreme throat geometry along null geodesics transverse to the horizon. Such transverse deformations are equivalent to a class of solutions to the linearised Einstein equations in the background throat geometry (itself an exact solution, recall). The gauge freedom for this problem ends up being super-translations on the horizon and once this is taken into account, the linearised equations reduce to an elliptic PDE for the extrinsic curvature of spatial sections of the horizon. This reveals that the moduli space of transverse deformations to any (compact) extreme horizon is finite dimensional. In other words, the deformations must be parametrised by a finite number of constants — there cannot be `too many’ solutions. Of course, not every such deformation corresponds to a black hole. Clearly a necessary condition is that the horizon is a marginally trapped surface, together with an appropriate ‘stability’ condition that ensures there are no trapped surfaces outside the horizon. Crucially, a version of these extrinsic conditions on the horizon can be implemented with knowledge of just the infinitesimal solution. This leads to an unexpected relation; the stability condition is in fact guaranteed by the symmetry enhancement theorem which is known to apply to a large class of extreme throat geometries. We also analysed explicit solutions to our linearised Einstein equations. Remarkably, we found that (smooth) axisymmetric deformations of the extreme Kerr throat enjoy a uniqueness theorem. This shows that the well-known uniqueness theorem for the extreme Kerr throat geometry persists as one deforms outwards from the horizon (at least infinitesimally, of course). It is important to appreciate that this `quasi-local’ uniqueness theorem is logically distinct to the usual no-hair theorem — we did not make any global assumptions such as asymptotic flatness. The full implications of this uniqueness result are yet to be explored, although it is certainly consistent with the non-existence of four-dimensional stationary vacuum multi-black holes. Perhaps more surprisingly, we also found that it is possible to completely determine all axisymmetric deformations of a five-dimensional extreme Myers-Perry throat geometry. Interestingly, we found a family of marginally trapped deformations more general than those corresponding to the known black holes. Do any of these deformations correspond to new types of five-dimensional black holes? Of course, to answer this question one has to go beyond linearised theory. Nevertheless, it is interesting to speculate what the possibilities might be, especially as they would have to have a different topology to the known black hole solutions. This entry was posted in Author Insights, IOPselect and tagged black holes, spacetime by Jennifer Sanders. Bookmark the permalink.